Hello again! I can't believe it is already the middle of October! Where has the time gone? It is time for another challenge at the Riley and Company blog. 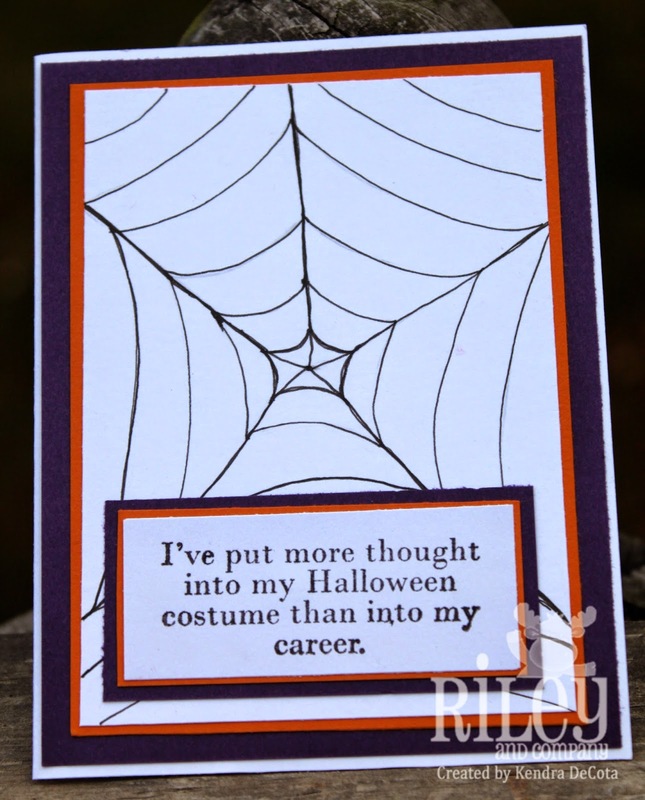 This time Joy has challenged us to make a Halloween card. I have to say this was a definite challenge for me. I don't normally make Halloween cards, and don't have very many supplies for them, so I really had to stretch the imagination. Would you believe that art class at school has helped me??? I work as a para in an elementary school, and go to all the "specials" classes with the group, including art. A couple of weeks ago the art teacher was instructing the youngsters how to make "spooky" decorations for their scene they were making. Spider webs being one of them. The sentiment I put on is from the latest release at Riley and Company. 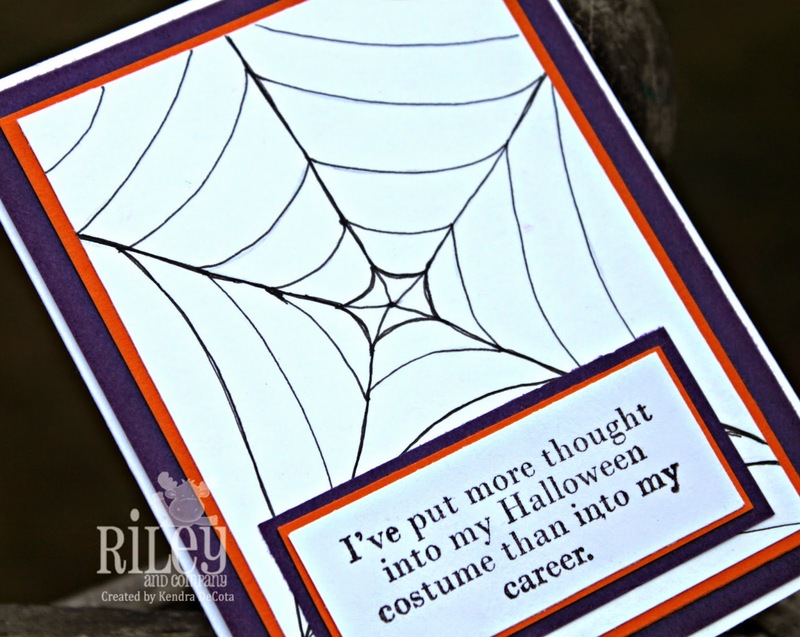 It is called Halloween Costume and you can find it HERE at the Riley and Company store.